Your own private and secure online account to manage your HR and Employment Law. The Dashboard is the default page. Upon login the user is presented with a brief synopsis of their status. Staff database search, quick statistics, important news updates, alerts and the diary all appear here. Access to the Employent Law Library, staff files and Visitor Portal is here also. Live support chat is available if we're online too. Users change their preferences from here. Passwords, staff leave management and even upload your company logo to customise your Toolbox. Multiple logins allow your managers to access the account also. The Employers Toolbox centres around a comprehensive Staff Management module. Multiple branches and lots of staff? Not a problem here. An unlimited staff database is available to you catering for many branches if you require it. Important documents such as Employment Agreements, disciplinary letters and performance reviews can be generated in the system and stored on the staff members file. Users can also upload any documents they choose to the staff file. One centralised location for all personnel records. A highly comprehensive set of Employment Agreement interactive templates are provided to generate a full range of Agreements offering the Employer maximum protection up to date with the latest legislation. Full time, part time, fixed term, casual and contractor agreements are just some of the most commonly used documents. Use the software to generate, customise and store your Agreements on your staff file and upload your signed off copies. 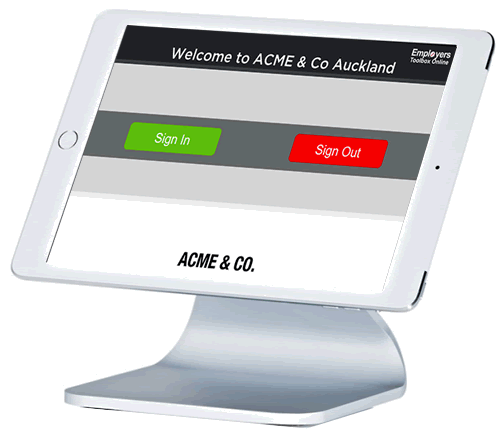 Agreements can be signed 'electronically' using the Toolbox by both parties via our eSigning system. The software being cloud based means our legal team update the content as and when legislation, case law or best practices change at no cost or downtime to users. No more software upgrades for you nor data loss when you need to upgrade your computers. Discipline and dismissals can be the easist part to get wrong for the Employer. It's not all about justification - it's more about process. Get any procedural part wrong and you will probably lose in the case of a dispute. This module offers the user a comprehensive system of process and procedure for most disciplinary issues. All the letters are provided, the steps to take and meetings to call. Customise and save the documents against the staff file for a comprehensive staff member history, and manage the disciplinary process correctly and carefully. Managing staff performance is a huge issue for most businesses. Objective and goal setting is a great way for getting staff motivated and committed to the company and their role within the organisation. Identifying and addressing training needs can improve the performance of the employee and also contribute to their own development and job satisfaction. Staff achieving their goals assists the business in achieving strategic goals also. Having an annual performance review should be considered a minimum for all staff. Performance Appraisals encourage open dialogue away from the day to day pressures of the job and facilitates both parties finding and correcting any issues before they develop into problems. There is also a framework for Performance Improvement Programmes. Addressing performance issues or upskilling staff can all be managed in a procedurally fair way here. Furthermore, performance management is the tool to manage under-performing staff members. Any issues involving substandard performance within the role must be carefully managed to resolve. Having a history of comprehensive and regular performance reviews aids the business owner in achieving desired outcomes. Previously known as 'OSH online', our Health & Saftey module provides a management framework to monitor and maintain a company's health and safety compliance issues. Covering hazard, incident, accident, hazardous material registers automatically generates a dynamic and comprehensive Health & Safety Manual to download in Word format if required. The Toolbox alert engine will automatically send alerts via email when actions are required on a weekly basis. Knowing exactly who is at your work site and where they are at any given point is vital during an emergency situation or performing drills. Getting your receptionist to grab the visitor register from the desk often gets forgotten in real situations. Having this managed in the cloud has obvious benefits. Catering for new and repeat visitors this system provides a speedy and accurate way for your clients to quickly sign in eliminating writing errors, legibility issues and physical books. Telephone support is available from our qualified and experienced legal team. Unlimtied freephone support for all your Employment Law questions is only a modest extra charge to your monthly subscription. Call as often as you need in order to resolve your HR issues. Have the benefit of our legal team to ensure you follow the strict legal process and minimise your exposure to a successful personal grieviance. The Employers Toolbox will give you all the letters and forms you need, and for peace of mind run through the process with a legal expert and make sure you have dotted the i's. Get the team to double check your documents before taking action. For the inclusion of the legal hotline we do require a minimum subscription term of 12 months.